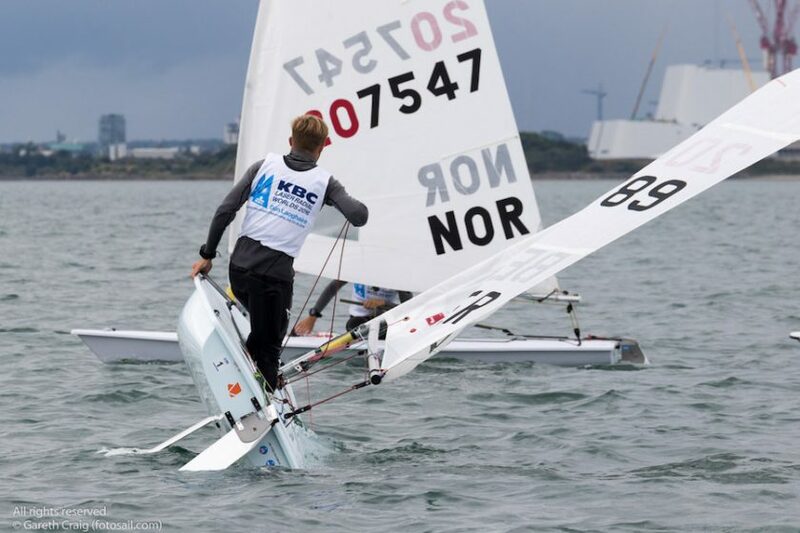 Racing Abandoned at KBC Laser Radial Youth and Men’s World Championship. Racing on the penultimate day of the championship was abandoned today when the wind died, leaving the biggest regatta fleet in Ireland this year becalmed on Dublin Bay. A number of races were started on both race courses but scrubbed when a fickle north–westerly breeze dropped from five knots to zero.